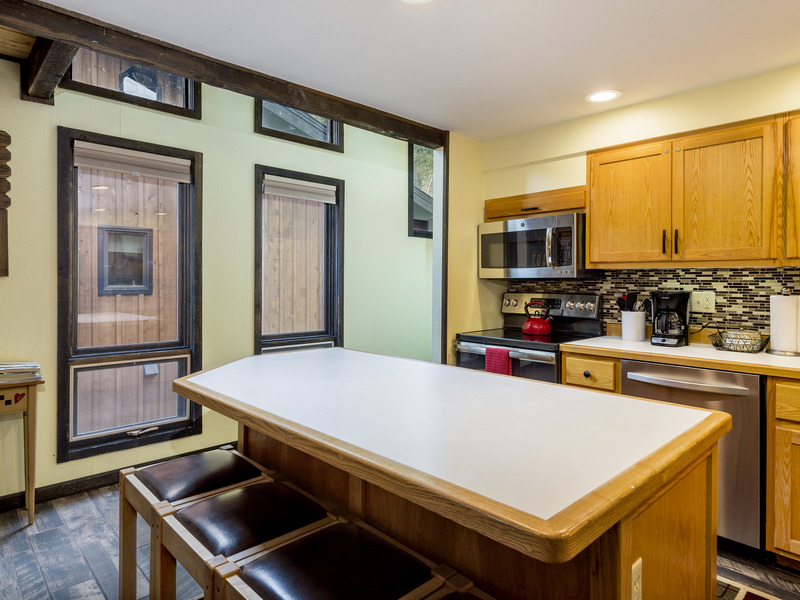 Perfect for an alpine adventure, this 3BR + loft, 3BA Steamboat Springs town home (sleeps 8) is less than 1.5 miles to the ski area—take advantage of the free city bus. 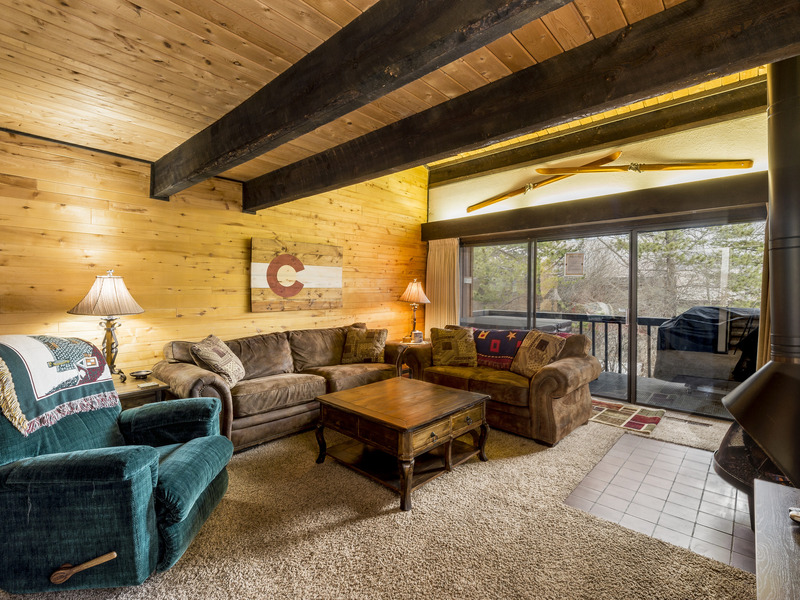 After time on the slopes, head home to your fireplace and private deck with hot tub. In the entry hallway, find a bench, boot storage, and wall hooks for hanging ski wear and jackets after a day in the powder. 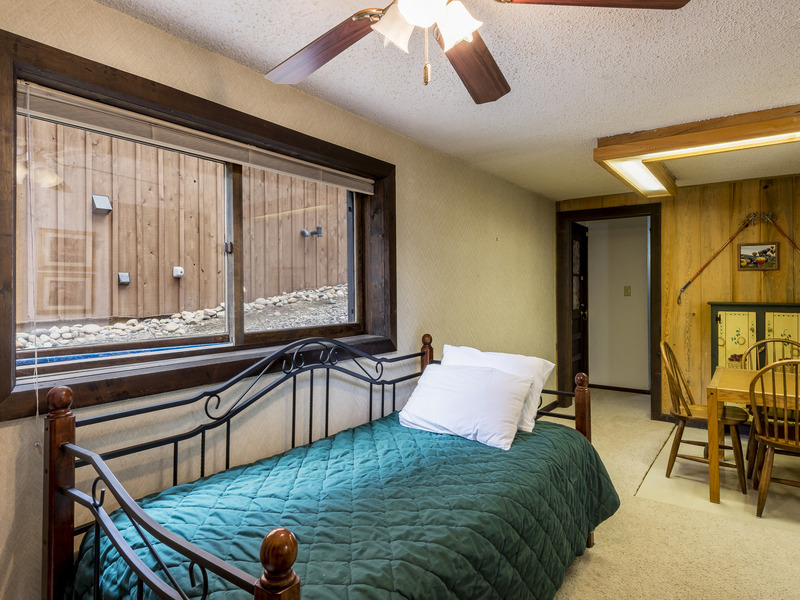 The guest bedroom is on the immediate left of the entry, furnished with a queen bed, 20" flat-screen TV with cable, and an en suite bath with shower/tub combo. Head down the hallway to reach the open kitchen/dining area. You’ll find brushed stainless steel kitchen appliances and well-stocked cupboards for all of your culinary needs. While the chef preps dinner, grab a spot at the kitchen bar with 4 padded bar stools. Dish up in the dining area with seating for 6 at a large wood table.Just beside the table, a set of stairs leads to the loft with wood-paneled walls, 2 twin beds, and a pair of fabric recliners. Stairs lead up to the master bedroom, which features a queen bed and en suite bath with standing shower. 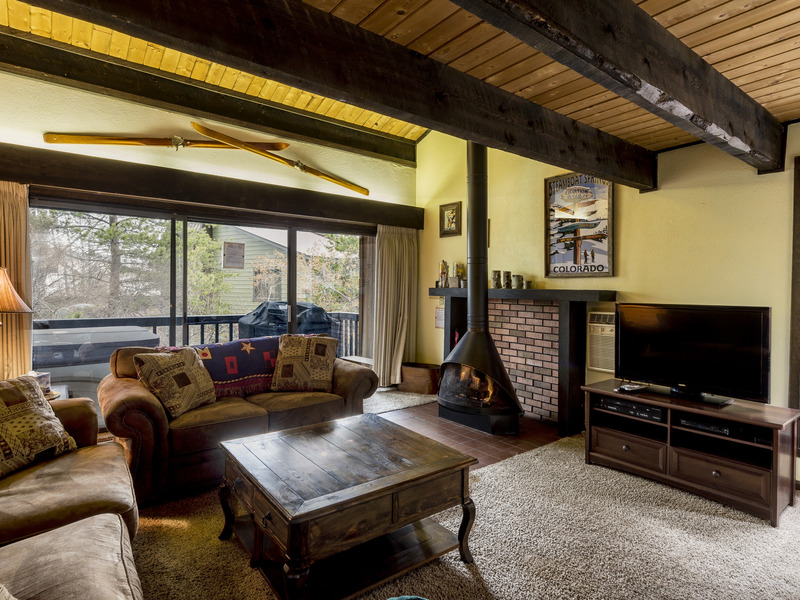 Head downstairs to warm up by the gas fireplace in the main living area. Spend evenings in front of a 42" flat-screen TV and DVD player, sinking into the couch, love seat, or recliner. 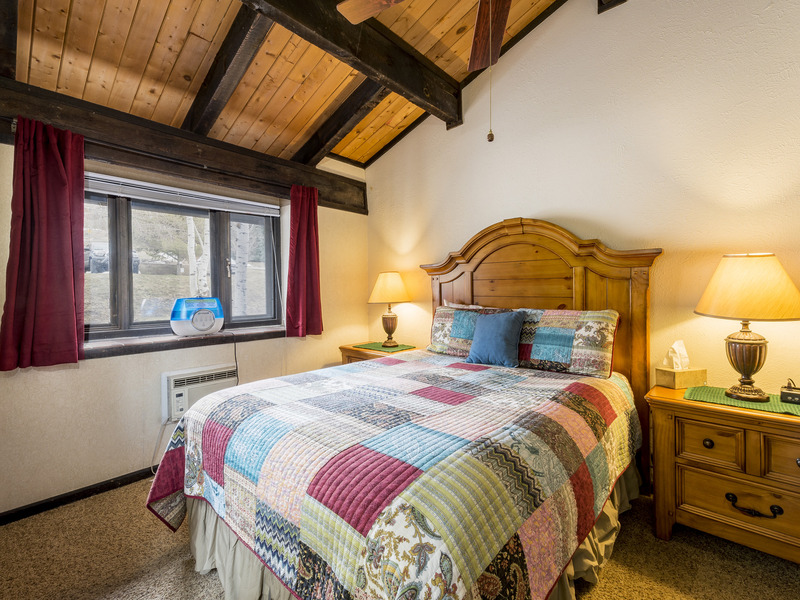 Feeling spent after a day in the mountains? 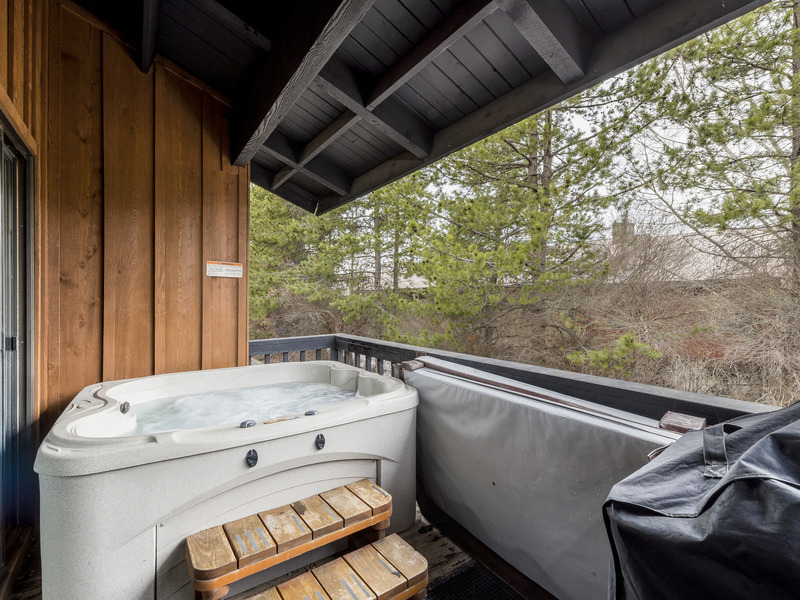 Step outside onto the deck and get neck-deep in the private hot tub before grilling up dinner on the gas BBQ. 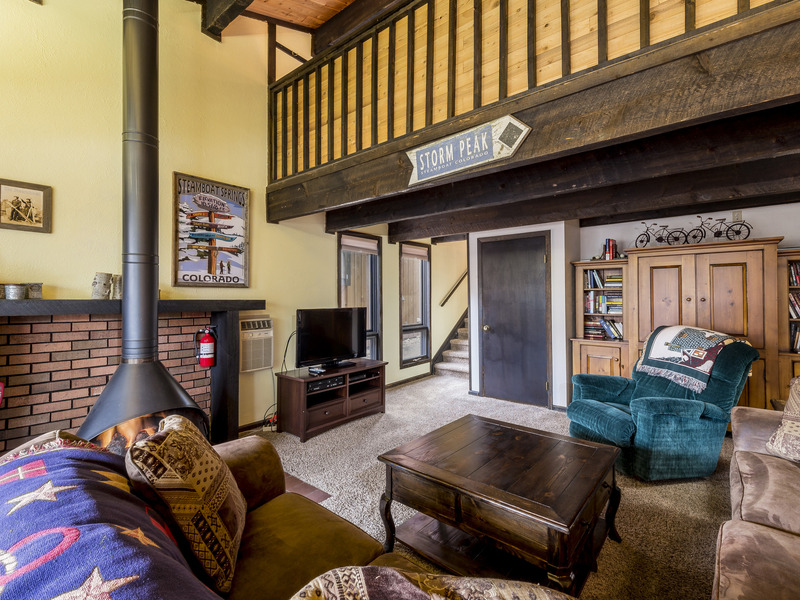 A short set of steps from the main living area leads down to another living space with a queen sleeper sofa, recliner chair, and 24” flat-screen TV with cable and an Xbox. 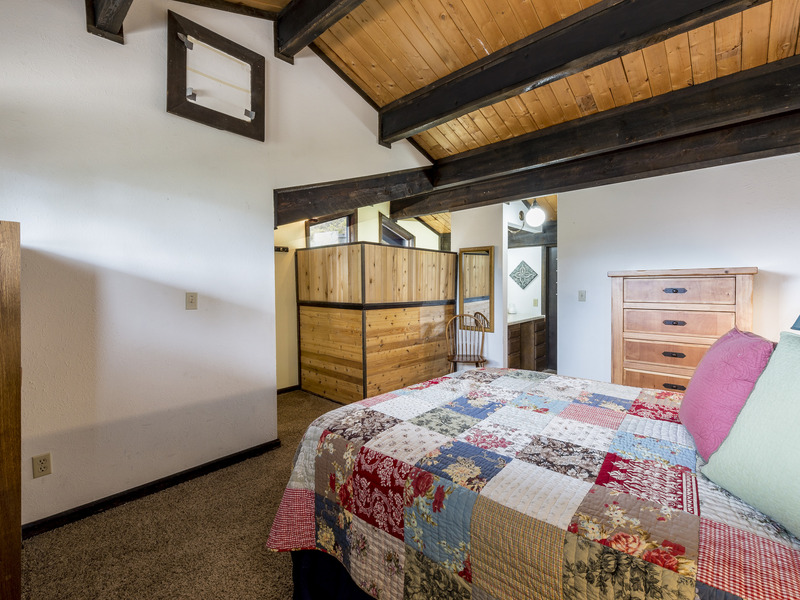 There’s a shared bathroom and intimate dining area nearby; this level also houses 1 more bedroom with a loft—the bedroom has a queen bed and the loft has a twin and trundle. Drive 5 minutes or hop on the free shuttle bus to Steamboat Ski Resort, then carve up the powder on one of 165 named trails. In the warmer months, enjoy easy walks or challenging hikes through wildflower-filled hillsides and spectacular mountain scenery. On sunny days, Yampa River Botanic Park (a 5-minute drive) offers another local spot for lazy strolls, picnics, and fishing trips on the Yampa River. If you feel like a little urban entertainment, drive 9 minutes to Main Street for shopping, art galleries, and eateries. Go for hamburgers at the highly rated Back Door Grill, grab tables at Winona's Restaurant for hearty breakfasts and brunches, or head to Mambo Italiano to sample seasonal Italian cuisine and house-made pasta.